The full article is available at http://bok.ahima.org/doc?oid=302681#.XJKFCqeZO2k and a summary of our key takeaways is listed below. Four denial trends for coders to know are highlighted in the article. Building awareness of these trends across the entire revenue cycle team is recommended—including communication with coders, physicians and clinical documentation improvement teams. Heightened focus on clinical validation. Coders should know the difference between coding denials and clinical validation denials. Payers are using a combination of clinical and coding references, making it hard to determine the type of denial. Shift from inpatient to outpatient denials. 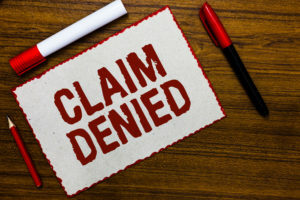 Outpatient denials are the new wild west for payers. Inconsistent timelines, difficulty getting responses and overall ambiguity are common. Because outpatient cases typically represent lower revenue, the cost to appeal must be carefully considered. Higher volume of HEDIS and Risk Adjustment requests. Larger volumes of records are being requested, which increases operational costs in HIM. Curb these expenses by including limits in the number and types of medical requests that may be submitted by payers. Queries and review dates subject to payer scrutiny. Payers have heightened their scrutiny of queries. The article provides three recommendations to ensure queries are complete and appropriate.